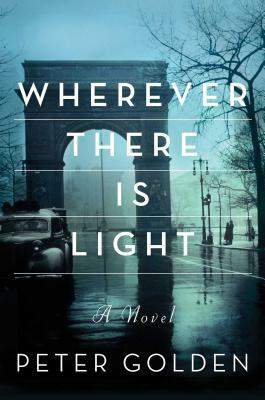 From the author of Comeback Love­, a sweeping, panoramic tale of twentieth-century America, chronicling the decades-long love affair between a Jewish immigrant and the granddaughter of a slave. One evening in 1938, Mrs. Wakefield hosts a dinner that reunites Julian with his parents—who have been rescued from Hitler’s Germany by the college—and brings him together with Kendall for the first time. From that encounter begins a thirty-year affair that will take the lovers from the beaches of Miami to the jazz clubs of Greenwich Village to postwar life in Paris, where they will mingle with Sartre, Picasso, and a host of other artists and intellectuals. Through his years serving in American intelligence and as an interrogator at the Nuremberg trials, what Julian wants most is to marry and find the joy that eluded his parents. Kendall craves her freedom, and after trading her oil paints for a Leica camera, becomes a celebrated photographer, among the first American journalists to photograph the survivors of a liberated concentration camp. Yet despite distance, their competing desires, and the rapidly changing world, their longing for each other remains a constant in the ceaseless sweep of time. Captivating and infused with historical detail, this is the epic tale of three generations, two different but intertwined families, and one unforgettable love story. "Illuminating! Wherever There is Light deftly shines light on the heartbreak of prejudice, the unbreakable ties of family and the enduring power of love. Peter Golden is uniquely qualified to write this sweeping and historically accurate novel." "Like the photographs captured by its heroine, Wherever There is Light is a soul-stirring saga of dualities: joy and sorrow, darkness and a gleam of something bright, things in reach and things just beyond the frame. This impossible, yet inevitable love story grasps your heart and doesn’t let go." “A uniquely American story of two unlikely lovers on disparate paths who struggle against mid-twentieth century racial and religious intolerance. Meticulously researched and beautifully written."